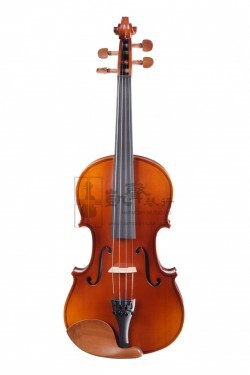 Popular Beginner Violin for Brilliant Tone and Great Projection. Handcrafted in our partner workshop, Splendour 'Scotti' Violin is made with Better Aged Solid Flamed Maple and Russian Spruce that have been air-dried for 3 years or more, as well as Pure Ebony fingerboard and finished with an elegant traditional varnish. As part of Splendour, the 'Scotti' line represents the immense dedication put into violin-making and exceptional material selection. Each piece of tonewood is adjusted individually to achieve the best resonance possible. Comes with a carbon fiber tailpiece with four built-in fine tuners and an French Aubert or German Teller bridge, Splendour 'Scotti' Violin is ideal for beginners who wish to start with a better instrument or those who have some playing experience before. Meticulously inspected before dispatch, Splendour 'Scotti' Violin is available in the following sizes: 1/8, 1/4, 1/2, 3/4 and 4/4. Splendour 'Scotti' Violin set is well-equipped, including a shaped foam case, a mini rosin and a student horsehair violin bow.